A single cell, like an amoeba, is like a little person. It breathes, eats, expels waste, moves towards the good things and away from bad things. And it has a brain: its cell membrane which communicates with the environment. Each of us is like a huge community made up of several trillion little amoebas, all working together in harmony (hopefully) toward a common goal – our health and happiness. It is by recognizing the power of our subconscious mind and using our conscious mind wisely that we sustain this health and success. Just as the simple little amoebas have gotten together to evolve a single organism (us), the human beings living on this planet have formed a single, individual, “superorganism,” and, according to one of Dr. Lipton’s latest books, we are ripe for this spontaneous evolution of the next level of global human wisdom – something quite necessary if we want to prevent the rapidly approaching sixth mass extinction. 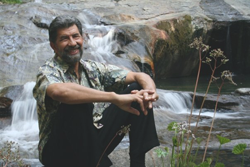 Choosing his fascinating metaphors, Dr. Lipton introduces us to a new way of understanding human behavior, our belief systems, and how we can create a new foundation for future growth. Important things are happening under the radar. 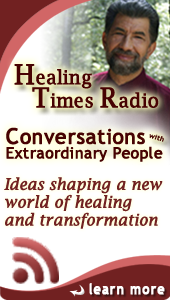 We are experiencing the emergence of a new global consciousness. Finally, we touch on the role of telomeres, those mysterious molecules at the end of our chromosome strands whose disappearance brings about aging and death. Fortunately, there are ways we can produce more telomeres, including the five remarkably simple ones Dr. Lipton offers you. 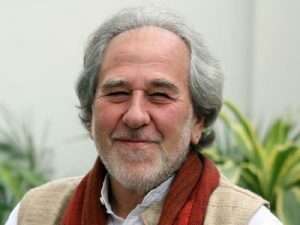 Learn more about Dr. Lipton at brucelipton.com . 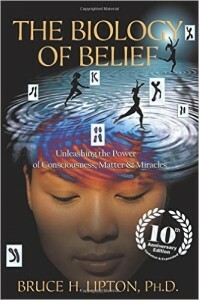 It has been ten years since the publication of The Biology of Belief, Bruce Lipton’s seminal book on the relationship between mind and body that changed the way we think about our lives, our health, and our planet. During that time, research in this field has grown exponentially—Lipton’s groundbreaking experiments have now been endorsed by more than a decade of rigorous scientific study. This profoundly hopeful synthesis of the latest and best research in cell biology and quantum physics puts the power to create a healthy, joyous life back in our own hands. When we transform our conscious and subconscious thoughts, we transform our lives, and in the process help humanity evolve to a new level of understanding and peace. Buy it Now.